CleanLab Template, is a multipurpose template with a clean, attractive and innovative design, that can match your business perfectly. The entire team behind it, before they were launching it, carefully studied the market needs and feelings. This theme is perfect for corporate business projects, creative portfolios, blogs, eCommerce, etc. 65+ pages gives you a plenty of possibilities to create any kind of website. 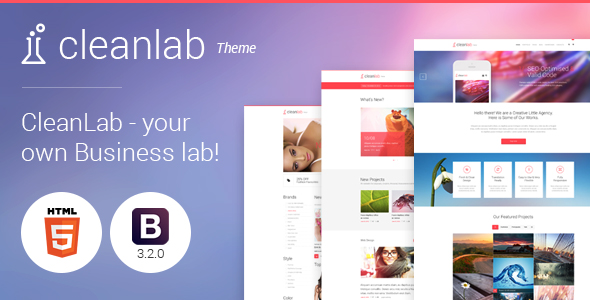 Item Reviewed: CleanLab - Multipurpose HTML5 Template 9 out of 10 based on 10 ratings. 9 user reviews.